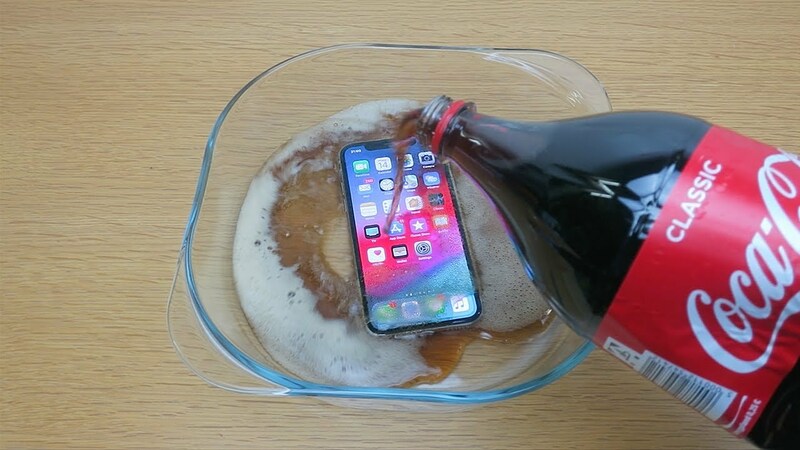 Well again on the topic of the new iPhone, here we have people actually testing its waterproofness. These people brought out the worst of the worst. They dropped it in water, the industry standard. They dropped it in wine, generally speaking for drunk people. They dropped it in beer, again mainly for drunk people. And for the finale, they dropped it in coke. Now the results are going to be surprising. All of them withstood complete submersion for 30 seconds. Usually a wet phone means a dead phone, but not really any more, as long as you don’t flush it down the toilet. I’m really glad they added this feature. From personal experience, I once brought an Apple Watch 2 in a swimming pool. The glass popped while still being connected by a wire, created a floating razor. I also went on a really soapy water slide with my phone, also bad idea. It was really glitched out. So don’t, don’t try this at home, even though it can be submerged.